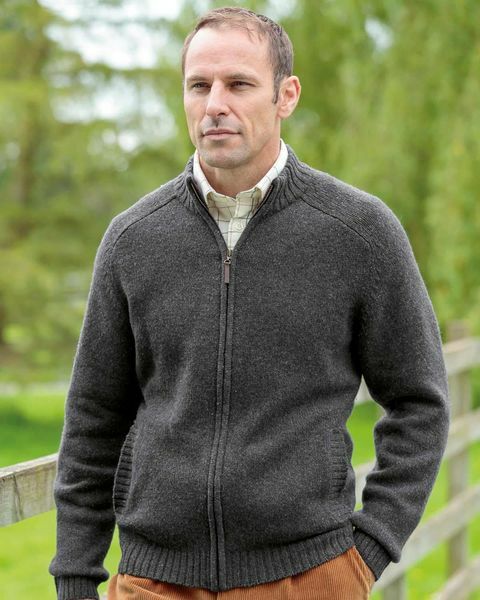 Mens Lambswool Zip Front Knitted Cardigan. Available in Charcoal. Both my husband and I were delighted with this cardigan. the only disappointment was that it was manufactured in the one colour,otherwise we would have ordered another one. "Both my husband and I were delighted with this cardigan. the only disa ..."
Traditional style zip front cardigan with side front pockets. 80% lambswool 20% nylon blend Donegal yarn. A lovely example of mens classic knitwear. A smart, seasonless buy.